If we are lucky, the recipient of the Anemoi Mittens will be here for a fitting tomorrow. Right now it is snowing and she does live at the top of a rather treacherous hill...so we might have to wait a day or two. Until then here are some more things my Mother has made - one day I will break down and help her set up her own Blog! But isn't this just easier? 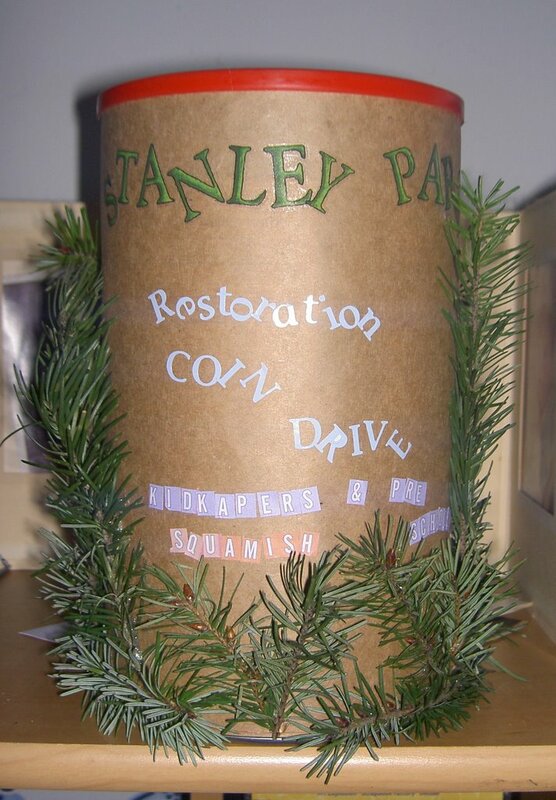 She created a bank for our Preschool's Coin Drive to help Restore Stanley Park - cleverly using some of our own downed tree bits from the windstorm and windswept lettering. 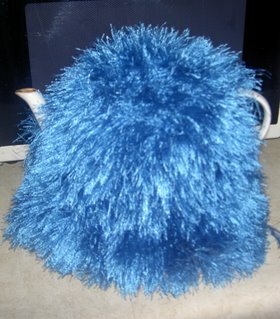 And somehow I failed to post a pic of the Cookie Monster Style Tea Cozy she made over the holidays. I have really appreciated how long it keeps the tea hot these last few days. It is amazing how restorative a diet of tea and popsicles can be! And here you have this incredible yarn from Yarn Rescue, ordered mere days before the start of Stashalong. As I opened the package my fever addled brain said "Oh no! I ordered Roving." and I nearly teared up. Fortunately logic is making a return and I thought, wait. look again. before dissolving in tears. The things exhaustion can do to you! Exhaustion after 3 days of sleep yet?! Had it been roving I would have had to send it off as a reward. Sadly, it is yarn and I will be forced to knit something gorgeous and utterly selfish from it. It will be difficult I am sure. Somehow I will have to do it. I will not be able to wait until it is appropriate for Project Spectrum 2 however - that is too much willpower. If you haven't visited the Yarn Rescue shop you need to go there. Feathers. They have feathers woven into the yarn. 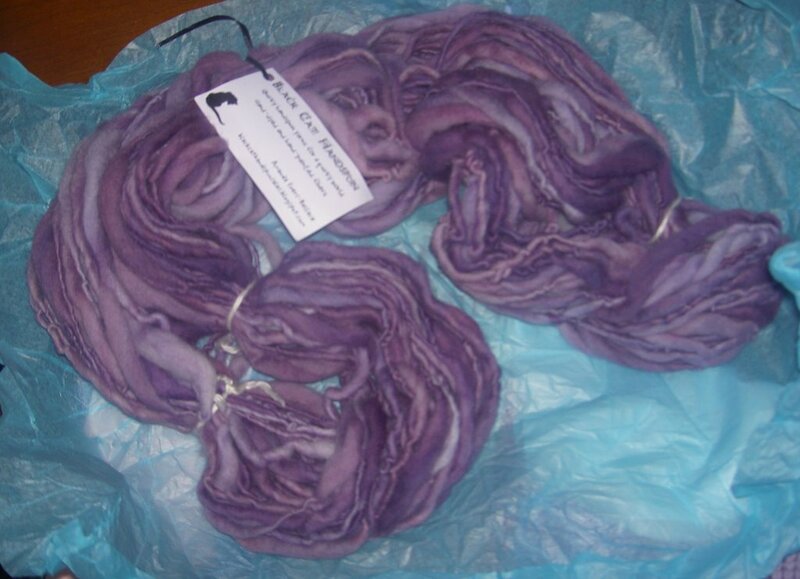 Or is it spun into the yarn? Knit The Classics selections. Why, why does this months choice have to be over 600 pages long?! I despair of catching up. Gosh, a head cold is something so very painful - I'm sending lots and lots of positive vibes and thoughts over across the ocean, hope you'll be feeling much better soon! Your Mom is doing some seriously beautiful work - what a great idea it'd be to really set up a blog for her to share her work with us! Yay for that! KnittnFool: I can Blog again!